Autumn is that special time of year when you get to witness the natural cycle of life. The bright, dancing hues of summer slowly nestle into a calm autumn nap. The temperatures drop, making you want to stay inside and bundle up with loved ones. It’s usually around this time when you think about the perfect family photo that, unfortunately, you haven’t been able to take yet. Take it from me – the holidays can be a hard time to get through, especially when dealing with infertility. Whether you celebrate Thanksgiving, Hanukkah, Christmas, and/or the turn of the New Year, this season of love and merriment can bring on many emotions such as sadness and a sense of failure. You aren’t alone. Many women going through infertility feel a sense of loss at this time of year. Here are a few key reminders to help you make the most of this holiday season. First and foremost, take care of YOU. Too many of us stop taking care of ourselves while undergoing IVF treatment. You quickly become obsessed with the potential of being a new mom that you completely neglect quality “you” time. This is the season to pamper yourself! Whether you want to treat yourself to a spa day, candlelight dinner or box office seats at the opera, take time to fall in love with you all over again. Tending to your personal needs now will only help to strengthen your capacity to love your spouse, family, and your future little one. Take time this holiday season to volunteer for a worthy cause, like helping out at an animal shelter, spending a day at a soup kitchen, or giving supplies to the homeless. Volunteering your time can help put things into perspective and help you appreciate the many blessings you’ve received this past year. The holidays are all about being grateful for the little moments of life. Simply watch the evening news, and you will be reminded of how harsh and unpredictable life can be. Cherish your loved ones. Take time over the next few months to reach out to an old friend. 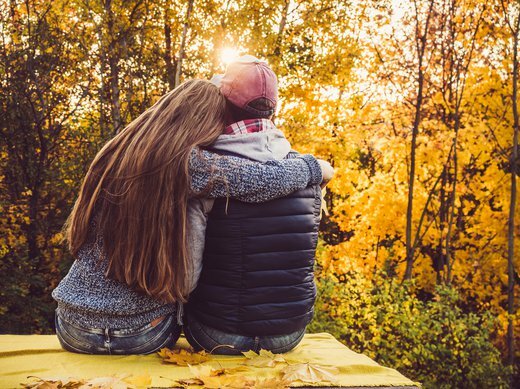 When pursuing donor egg treatment, the road ahead can get bumpy, so connect yourself with a village of support to help you through these trying times. Try to open your heart to receive love this holiday season. You may be going through trying times right now, but give your loved ones a chance to be there for you. While they may not completely understand what you’re going through, they will be able to help you get through it. You’ll no doubt be invited to a number of holiday celebrations this year. With a forced smile, you may feel it mandatory to RSVP yes to everything that your friends and family invite you to. However, remember that it’s perfectly OK to decline this year. There is no rule on how you spend your holidays. If it’s too painful to bear the family gatherings right now, try something new for the holidays, like planning a trip or staying home and spending quality “you” time. If holidays are typically your “thing”, saying no to this year’s festivities may not sit well with your loved ones who expect you to be there full of tidings and great joy. Yes, you may feel that you have to prepare an “elevator speech” for family and friends when they ask about you. You can send out a pre-holiday message to everyone letting them know what your plans are for the season. Just know, your privacy is key, and you don’t owe anyone an explanation beyond what you’re willing to share. Lastly, let the holidays spur you to action. Ask those important questions before the New Year begins, and take meaningful steps towards accomplishing whatever goals your heart desires. The frozen donor egg IVF process can be accomplished in as little as 2-3 months, and we at California Cryobank are here to help you every step of the way. The timing of treatment is under your control, so start preparing your family building plan now so you can set your plan in motion early in the New Year.